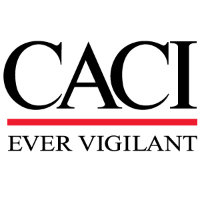 CACI is seeking a Software Tester/Test Engineer to join our project team at Naval Station Norfolk. As a Software Tester/Test Engineer, you will support the planning, coordinating, and executing verification, validation and testing of application and systems software. The ideal candidate will hold a current SECRET clearance and at least a DoD 8570 IAT Level 1 certification or higher (ex. CompTIA Network+, Security+, CASP, CISSP). The Software Tester/Test Engineer candidate will bring an adept knowledge of testing business application and enterprise information systems, static and dynamic software test activities, test automation and using automated test tools and software development life cycle models such as waterfall, Agile, or other incremental model. Support the planning, coordinating, and executing verification, validation and testing of application and systems software. Work closely with software developers, engineers, business analysts, and requirements personnel to plan, coordinate and execute static analysis and dynamic testing of systems/software code to verify, validate acceptance and technical specifications. Evaluate the test basis and support the refinement of requirements to ensure testability, clarity and correctness. Author and maintain software test cases and procedures in accordance with organizational policies and procedures. Conduct test design activities to identify and create both manual and automated test cases, test procedures and test scripts traceable to system requirements. Assist in the creation of software test plans to document the overall test strategy, test approach, test process, test schedule, pass/fail criteria, test environment architecture, test lab resources. Conduct static and dynamic testing to include integration, functional, system, regression and acceptance testing. Author test reports and defect tracking activities. Coordinate with stakeholders for configuration management activities. Work closely with stakeholders, sponsors, and customers to determine acceptance criteria and coordinate certification test events with end users. Knowledge of testing business application and enterprise information systems. Knowledge of static and dynamic software test activities. Knowledge of test automation and using automated test tools. Knowledge of software development life cycle models such as waterfall, Agile, or other incremental model. Knowledge of computer operating systems and database management systems/software. Proficient in productivity tools, specifically Microsoft Word and Excel. Skilled in creating software test plans, test cases, test procedures, test scripts, and test data conditions. Skilled in utilizing testing and application life cycle management tools (e.g., HP UFT and ALM) to build test suites/sets, capture test data, and analyze results. Skilled at mapping test cases to requirements and providing input to generate a requirements traceability matrix. Ability to test computer operating systems, database management systems, and application software integrated on physical and virtual servers and clients. Ability to assess software products for readiness and determine pass/fail criteria. Ability to determine test approaches, develop test schedules, and identify risks associated with testing. Ability to capture test data, analyze test results and clearly communicate (orally and written) findings and/or deficiencies. Ability to coordinate and collaborate with members of a software development or systems engineering team to accomplish project team goals and objectives. Ability to conduct software/system integration, installation, configuration, functional, performance, regression and system recovery testing. Experience with JIRA or similar collaboration/issue tracking tool.